Schenck Strategies is a recognized online reputation management authority who has worked with many companies and individuals plagued with online reputation issues, and in each case we have helped them improve their Google results, no matter what country they’re doing business in. In many cases a negative online reputation can destroy your business. Our team has developed unique and innovative methods for helping websites with positive content move up in the search results, in order to push negative websites off the first page of Google. When customers perform a search for your company, what do they see in the first page of the search engine results? Chances are, if you’ve been around for a while, a Google search will include websites and posts with negative comments, reviews or blogs. 1) You don’t have to confront the owners of the negative sites, who may or may not be cooperative in removing the comments or forum posts. 2) You are in control of your efforts to rank the positive sites and are no longer at the whims of critics or disapproving reviewers who post their opinions online. 3) It’s completely fair. You’re not forcing anyone to change their content, whether through begging, arm-twisting or legal threats. You’re simply helping those who search on you to see the good side of you and/or your company. Imagine the effect on your online reputation when an online search produces a page full of websites containing only positive reviews, complimentary articles and glowing testimonials. You’ll project a much better image to everyone who finds you through Google. The way to make sure the positive sites rank higher with the search engines is to perform search engine optimization (SEO). Today, Search Engine Optimization is a combination of including relevant content on your web pages and getting other websites to link to those pages. Google and other search engines gauge the relevance of a web page based on how many other websites link to it. The more “backlinks” you have to your website, the more likely it is that your website deserves to be ranked higher. So far, so good. But we still need to push all those negative sites out of the higher rankings, which means we need other sites to take their places. To accomplish this, we find or create websites that contain positive or neutral information about your company and perform SEO to get them to rank higher. And once the top ten spots of a search are wiped clean of any negative sites, we go to work on the next ten spots. The goal is to eventually give you two search results pages of positive sites. This is a necessary cushion, because a negative site’s ranking could move up or down by a few spots over time. By “owning” the first two pages, you make it more likely that a negative site can’t suddenly pop up on Page 1 of a search. Negative websites, articles, forum posts and other comments are hurting your brand and costing your company money in terms of lost sales and revenue. You can either let your reputation and sales suffer, or you can manage your online reputation just as you manage everything else in your company — taking steps to get the results you want and keep your company on track for success. Online Reputation Management is the key to making that happen. 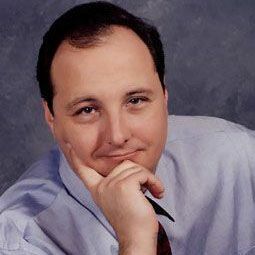 Dwain Schenck is the founder of Schenck Strategies and a seasoned strategic communications and public relations professional, author, and former award-winning TV reporter. He has a successful track record of developing communications and transformational reputation strategies that drives growth, builds brand awareness, and solves business problems for companies and nonprofit organizations on a global scale. He offers a strong combination of leadership, management, and hands-on tactical experience that enhances the positioning of brands and personalities with their key stakeholders. He serves as a trusted senior communications counselor and helps companies outperform their competitors. His clients include high-profile and high net worth individuals, Fortune 500 corporations, nonprofit organizations, start-ups, media companies, biotech and renewable energy companies, and politicians. Schenck started his communications career as an award-winning beat reporter for a regional TV station in Connecticut when a 6.8 earthquake ravaged Spitak, Armenia, decimating the region and prompting Mikhail Gorbachev’s formal request for U.S. humanitarian aid. Americares, at the time the world’s largest private humanitarian relief agency responded, and with them Schenck became the first Western TV reporter to be on the ground for this monumental relief effort where more than 100,000 lives were lost. Schenck eventually was asked to join Americares to lead its PR and communications operation. When he wasn’t booking relief workers to appear on Good Morning America and the TODAY show or developing feature stories about the organization for PEOPLE, TIME and The New York Times, he travelled to disaster areas and war zones around the world as chief spokesperson and escorted reporters on relief missions to Kuwait, Jordan, Iran, Turkey, Moscow, Sakhalin Island, North Korea, El Salvador, Guatemala, Nicaragua, Kyoto, Tokyo, Shanghai, Beijing, Egypt, Ethiopia, Eritrea, Kenya, Somalia, Sudan, Djibouti, Rwanda, Uganda, Democratic Republic of the Congo, Croatia, Sarajevo, and Bosnia. In total, he produced campaigns featuring relief efforts that generated more than 1 billion media impressions about Americares on major networks, newspapers and magazines around the world. 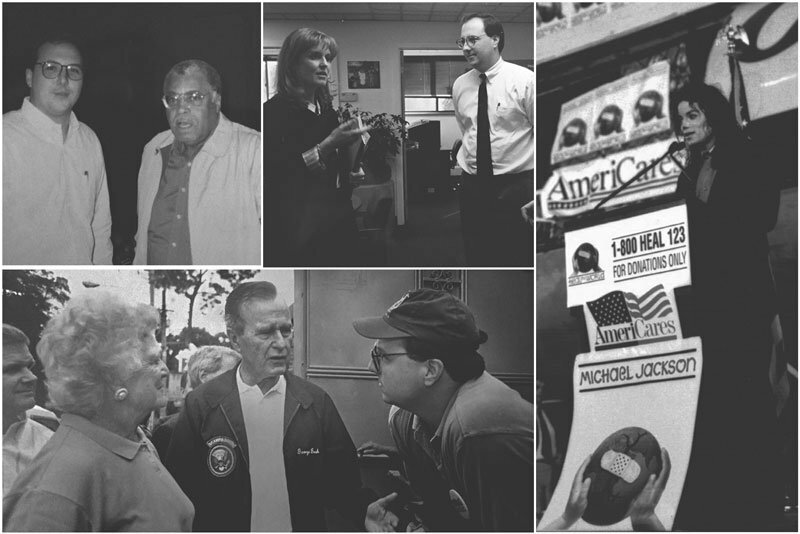 Schenck has held many communications and PR positions over his distinguished career. In addition to his strategic counsel, media relations, and crisis management work, in the early 1990’s he leveraged his years’ of journalism experience to spearhead an award-winning documentary taking first and second place prizes at the U.S. Industrial Film & Video Festival and the Houston International Film Festival respectively, for co-producing and writing a documentary about the civil war in Ethiopia. Respected for his crisis communications management skills, Schenck was retained by Connecticut Governor, Dannel P. Malloy, during his first run for office. Schenck was instrumental in turning around public opinion to quell a well-orchestrated smear campaign against the Governor during a 17-month criminal investigation of his public and private life. Malloy was eventually cleared of any wrongdoing by the state’s top prosecutor. Today he serves as a trusted senior communications counselor to high-profile and high net worth individuals, Fortune 500 corporations, start-up organizations, media companies, biotech and renewable energy firms, politicians, and philanthropic organizations. He has provided outreach and gained valuable visibility and endorsements for world-recognized influencers including President George H.W. and Barbara Bush, and the Duchess of York, Sarah Ferguson. He has also worked with and interviewed world class entertainers and leaders like James Earl Jones, Elton John, Michael Jackson, Cid Caesar, Roy Orbison, Robin Williams, President Donald Trump. Mort Zuckerman, and Seinfeld creator, Larry David to name a few. Schenck is the author of The New York Times reviewed and Amazon best-selling non-fiction business book titled, “Reset: How to Beat the Job Loss Blues and Get Ready for your Next Act”, published by Da Capo Press with a foreword by Mika Brzezinski, journalist, best-selling author, and co-anchor of MSNBC’s Morning Joe. Schenck graduated from the University of Southern California (USC) and lives in Westport, Connecticut.